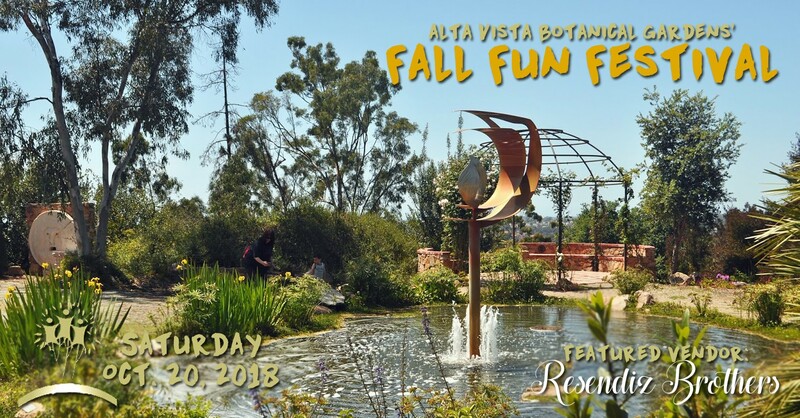 Join us for Alta Vista Botanical Garden’s 10th Annual Fall Fun Festival. Everyone is welcome to enjoy the wonderful outdoors in our 14-acre Gardens. Activities will include a scarecrow contest, bobbing for apples, face painting, decorating pumpkins, games, and crafts. The garden’s GrowGetters will have a lively plant sale, and Amigos Lions will be offering a BBQ lunch for sale. And of course, Resendiz Brothers is a featured vendor! We will offer protea plants, seeds, bouquets, books, and more! Can’t wait to see you there!